You can’t imagine not being able to spend quality time with your children. When your child custody case goes to trial, however, the decisions on when and how you get to spend time with them will be made for you. And not only that, a judge will decide which parent is allowed to make decisions on your child’s upbringing — like where they attend school, what medical attention they receive, and more. What can you do to learn how to win child custody in Texas? This is a frightening prospect for any loving parent. Don’t go into a custody battle unaware. Get good legal advice from an experienced child custody attorney, and make sure you understand child custody rights — and how to improve your chances of getting the outcome you want. Courts make their custody decisions based on what’s in the best interest of the child. This means they look at all factors to decide which parent can provide the best environment, who is more fit to provide the best upbringing, and who can best meet the child’s emotional and physical needs. In Texas, the courts prefer that the child maintains a meaningful relationship with both parents, where possible. This means they aim for joint conservatorship (meaning shared decision-making, not necessarily equal possession time). In fact, under the Texas Family Code, it is presumed that the standard possession order (essentially every other weekend and Thursdays of each week) for the non-custodial parent is in the child’s best interest. A 50-50 possession schedule is not the norm in Texas and typically arises by agreement of the parents. To determine the best interest of the child, a judge is going to go over your parenting skills, living arrangements, and several other considerations with a fine-toothed comb. The court will evaluate the home environment of each parent, each parent’s ability to be your child’s caretaker, financial circumstances, employment situations, and more. With so much under the microscope and so much on the line, documentation is critical at this point. It will be up to you and your child custody attorney to prove with records and documentation that you’re more capable to take care of and nurture your child. You’ll also need to prove why your spouse is not as capable as you. A judge will look favorably on a parent who is already an active and responsible part of their children’s life. This shows you can handle custody of your children, that you care about your children, and that you’ll continue to provide the right nurturing environment for your children. Sit down and write a chronology of events that led to the divorce, and include in your chronology the treatment of the children, how you have spent time with the children, how much time you have spent with them, and similar items. Keep a record of what you do in your child’s daily life. Make sure you go to parent-teacher conferences, attend recitals and games, and communicate with school teachers. In addition, take your child to doctor appointments when the need arises. These actions will provide other witnesses who can vouch that you are involved in your child’s life. Show that you’re an involved parent by gathering pictures and souvenirs from vacations you’ve taken with your children. Strengthen your support network of friends, relatives, neighbors, teachers, and more who can act as witnesses to your parenting conduct. Be careful to avoid social media during this time, as things can be misconstrued. While you need to demonstrate your good parenting skills in your custody battle, you may also need to provide a clear demonstration of why your spouse doesn’t meet the right parenting standards. Keep detailed records of inappropriate, dangerous, and poor parenting choices. If your spouse has a work schedule that keeps him or her away from the children, be sure to show evidence of that. If your spouse does not follow temporary custody, child support agreements or visitation times, document this. Keep records of anything related to domestic abuse, jail time, or drug use. If your spouse is involved in any activities that could harm your child, show evidence. Document anything your children says about neglectful, abusive, or inappropriate behavior. If your spouse is living with a new romantic partner or bringing a significant other home for overnight visits while the children are around, document this as well. And of course, if you want to win the child custody battle, be sure you are not guilty of any of the above behaviors. Even though the courts rule in favor of the best interest of the child, fathers do tend to have a more difficult time getting custody. 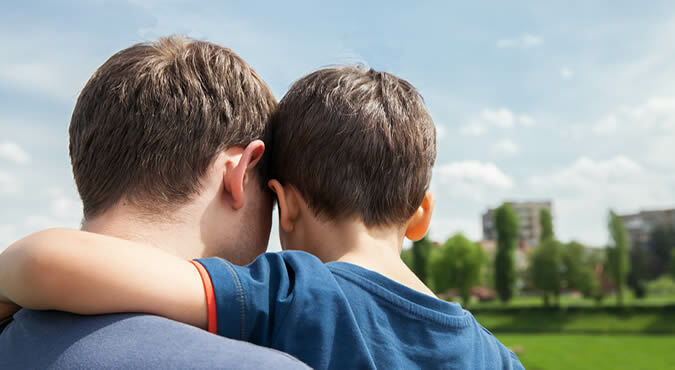 In addition to being active in your child’s life and providing documentation that proves your ability to care for your child, you should also follow these tips if you’re a dad fighting for child custody rights. Pay Child Support Payments. Whether you have a formal or informal agreement with the child’s mother, make sure you pay child support payments and pay them on time every month. Keep detailed records, like check receipts, to prove you are staying on top of child support payments. If the agreement is informal, get it in writing with your spouse’s signature. If you struggle to make payments, request a modification. Don’t stop making payments without getting the modification in writing. Be Involved, Even When You Aren’t There. Call to say hello when your children are with their mother. As stated above, be involved in parent/teacher meetings and attend events your children are involved in. You may need to introduce yourself at the school to ensure you’ll receive notification of meetings. Make Space in Your Home. No matter how big or small your home is, make a space for your children that belongs to just them. Don’t use this space to pile clutter when they aren’t around. Provide adequate and welcoming living conditions, and be prepared to tell the judge about them. Respect Your Ex. No matter how angry you are with your ex, always treat her with respect. Judges will not look favorably on actions that are rude or disrespectful to your children’s mother during a custody case. Have a Parenting Plan. How will you take care of your children? Where will you live? How will you provide for your children? What will you do for childcare? How will you ensure your children’s education is taken care of? The judge will ask these questions, so be sure you know the answers ahead of time. The more prepared you are, the better your chances of winning the custody battle will be. 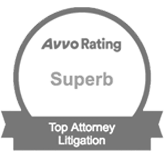 Ben Carrasco is a highly skilled and experienced child custody attorney in Austin who can help you through the mediation or the court process. 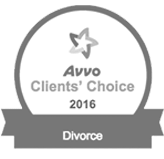 He knows how to win child custody in Texas, and will help you get the best result possible. 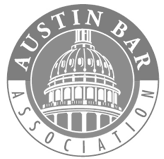 Request a consultation online or call Ben directly at (512) 320-9126! Ben Carrasco is an experienced, dedicated family law attorney who will fight to win your child custody battle. Call Ben today at (512) 320-9126 or request a consultation online!